As the days end sooner and we wake to mornings a little crisper, we can rejoice in knowing it’s finally here. Oakbank season. Gloriously sunny days in the lush Adelaide hills create the perfect environment for the Oakbank Easter Races. The five pillars of Oakbank are what keeps racegoers returning annually, where fashion, fixtures, family, food and frivolity unite for one spectacular weekend of racing. Many a South Australian has patronised Oakbank, usually from childhood, where the 40-minute trip to the track could not pass fast enough. We have spent days staring in admiration of the fashion contestants, watching the horses gallantly preparing to race and trying to exercise as much freedom as possible while our parents enjoyed the bountiful hospitality offerings at the Oakbank Racecourse. As we grew older, we would meet school friends, dip a toe into headwear and solidify the bond between that track and its realm of possibilities. Now as adults, returning to Oakbank means acquiring a proper weekend racing wardrobe, finally enjoying the region’s acclaimed beverages and watching your childhood boyfriends work their best chino and Rossi Boots combination. Oakbank is a place of sartorial tradition. 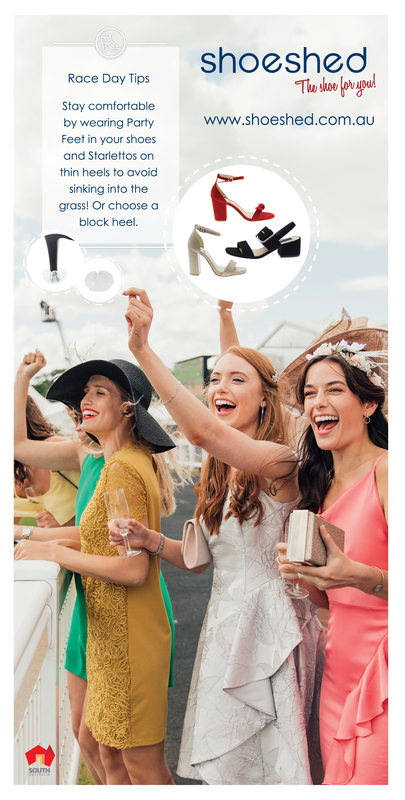 Last year’s Fashion At The Races winner was Nicole Hawkins, a long-term race lover who took home her prizes in a red and white floral-patterned Thurley dress, matching Shauna Caddy Millinery, Betts Shoes and Lovisa accessories. A carnival synonymous with a cool-country approach to racewear, felt hats and boaters were big amongst last year’s 20,000-strong crowd and many gentlemen stood out with checked jackets and ornate lapel pins. This year, the Oakbank Easter Saturday Fashion At The Races competition stakes are even higher. With a top prize of $2,000 cash, you and your party can compete for titles Best Dressed Womenswear, Runner-up Best Dressed, Best Millinery, Best Footwear Women’s and Best Dressed Menswear. You will find the registration booth in the general admission area on the day, so you can collect your number, paddle and prepare for your stage debut. 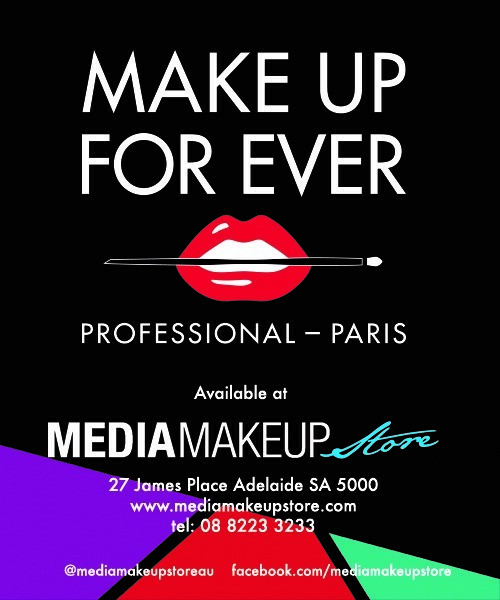 In the lead up to this auspicious event, Media Makeup will be hosting a beauty bar marquee, ready to retouch your look with their MAKE UP FOR EVER, Cloud Nine and evo hair products and tools. While creating a long lasting beauty look is absolutely achievable, it is best to have the experts at your disposal on the day. Cementing Oakbank’s reputation as a family-friendly event, Stable Stars presents a free kids club zone, where your little ones can leave your shadow and ride FATR’s favourite pony Archie and his friends, play life-sized games, dress up in racing costumes and colour the day away. There will also be the Melba Kids Zone with free Easter Egg hunts throughout the day. Simply join Stable Stars to participate, either on the day or before. For those embarking on a gastronomic journey, Oakbank offers far more than just general admission. The Mollydooker Long Lunch boasts a five-hour drinks package, admission, access to members grandstand and lawns, race books, TV monitors and, of course, the finest fare at the track. However, if your focus is on the race, you can find your place at the Fallen Log Terrace, a Private Site or a Reserved Umbrella Site in front of the grandstand on the home stretch. If you are looking for a more laidback approach to your race day, The Back Paddock Reserve is your go-to casual cocktail lounge. Access to Oakbank has never been safer nor swifter. We have organised return bus transport from a large range of hotels across Adelaide, everywhere from the Feathers to The Gully. Buses will depart from 9.30-10.30am and return pending race finishing times. You can book your tickets and transport here. The Easter long weekend is all about making memories with your family and friends, so book your ticket here to Oakbank and see traditions transcend time.